2013 Jan 20 I usually do an Apple cleanse this time of year, but this year, I decided to try something new. The reason for the change is that I noticed that I eat very little food that is either sour or bitter, yet I have no problem with sweet or spicy food. I thought of how vinegar removes calcium build up, where water is involved, like shower heads, tiles, counters, etc. I then thought of how cholesterol and plaque buildup deposits in our blood vessels and thought that maybe adding vinegar to my diet would help get rid of any potential issues. Part of all this is because I have a doctor’s appointment at the end of February and I need to get blood work done before that. 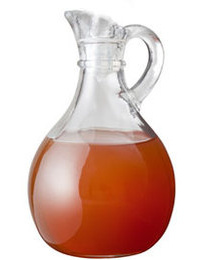 I decided to do an apple vinegar detox where I would take 2 – 3 tablespoons of organic Apple Cider Vinegar in a cup of distilled water and add a bit of honey to sweeten the taste. I would take this concoction 2 – 3 times a day before a meal. It didn’t taste that bad, but neither did it taste that good. After a few days, I decided to try another suggestion and that was to take it with tomato juice instead of water. I substituted tomato juice for a garden cocktail and that was quite enjoyable. I decided to do this cleanse until the end of the month or until I noticed some unpleasant side effects. This entry was posted in Food - Water - Shelter, Health, Medical - Drugs, Personal and tagged apple, cider, detox, honey, tomato juice, vinegar, water by johnrieger. Bookmark the permalink.